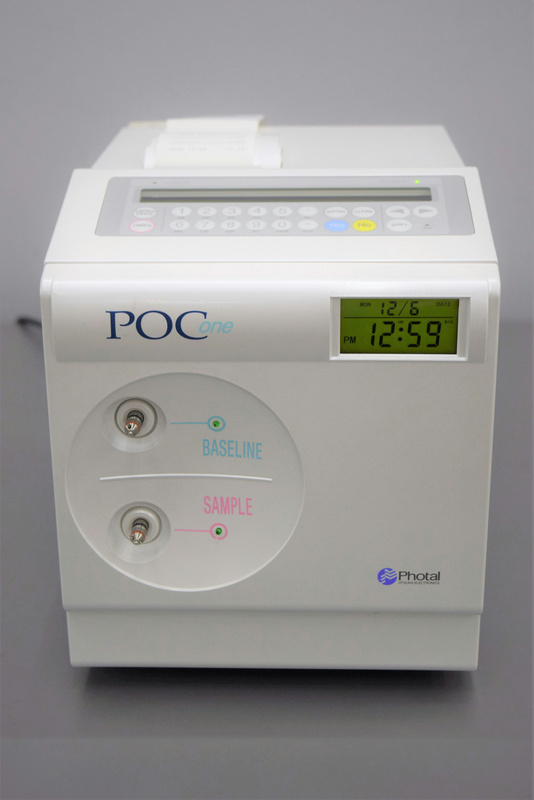 Otsuka Photal POCone FT-IR Spectral Analyzer CO2 Urea Breath Spectrophotometer . New Life Scientific, Inc. The POCone is in excellent cosmetic condition, manufactured in 2012, and passed the self-initialization phase. The product requires the Breath-Tek UBT prior to application. The complete setup will measure the ratio of 13CO2 to 12CO2 in breath samples taken before and after a patient ingests a solution containing 13C-urea. New Life Scientific technicians visually inspected the analyzer and confirmed that it initialized along with the printer-check. Consumables and proper training are required to operate this instrument which would yield analytical results.